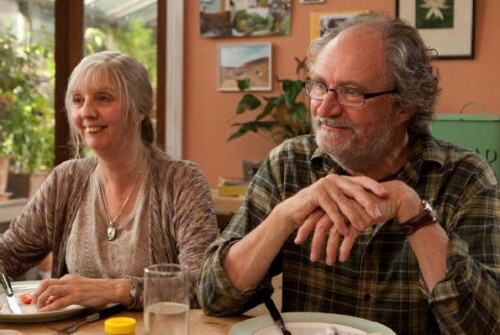 Ordinary life is delicate business, or so Mike Leigh wants you to think in his latest film. Another Year and its cast of aging characters are both intimately familiar and lived in, and yet like nothing you’ve ever seen. Leigh shows us happiness at its most stable and misery at its most crippling, usually in the same scene. He does this chiefly through Tom (Jim Broadbent) and Gerri (Ruth Sheen), a happily married couple who are used to each other and the joke that their names often bring out in people. Their life together, though, is something they take seriously. Using their house as a kind of fortress from sadness, Leigh takes us through a year in their lives and the lives of those closest to them. We begin in spring and end in winter; life to death. It sounds more dramatic than it is. Impossible would be one way to describe Poppy (Sally Hawkins), the flamboyantly optimistic center of Mike Leigh’s Happy-Go-Lucky. With that one word, you can take her as impossibly happy, annoying, or over the top. She is all of these things and more, as you and she both learn during the course of this off-beat life lesson comedy. Hawkins and Leigh both approach this complicated woman with true zest and unapologetic heart. This performance is a work of art inspired by a terrific actress and this director’s unique method. Leigh casts his movies with only story in mind, and then works with his actors to craft improvised moments and write out the actual screenplay.